Barbera is thought to have originated in the Piedmont hills of Monferrato and is rumored to have been named for Vinum berberis, a bitter, red fermented drink from the middle ages.The name refers to its color and the tendency of the vines to overproduce produce grapes that can be acidic and sharp. When managed, those characteristics can be controlled to create a softer more balanced wine which can be blended or drunk as a single varietal. Though recent DNA testing has suggested that in may come from another region of Italy or even from Spain, there has been no definitive determination of origin or parentage. 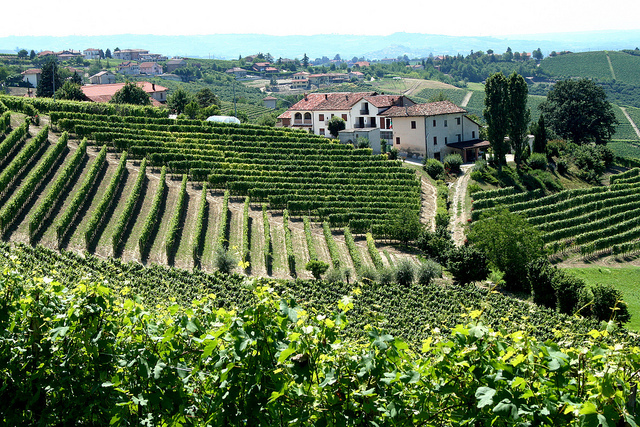 Today, Barbera is the third most grown red grape varietal in Italy, actually down from its height in the 70s and 80s. In the mid 80’s there was a Barbera scare when it was found that immoral producers were adding methanol to the wine, which led to 30 deaths and even more cases of permanent blindness. Now that controls are back and growers are experimenting with differing oaks, Barbera wines, particular those of the Barbera d’Asti, Barbera d’Alba and Barbera Monferrato Superiore DOCGs (Denominazione di origine controllata) are exported and enjoyed throughout the world. Barbera vines grow well and quickly and became popular in areas where more finicky wines such as Nebbiolo did not grow well. 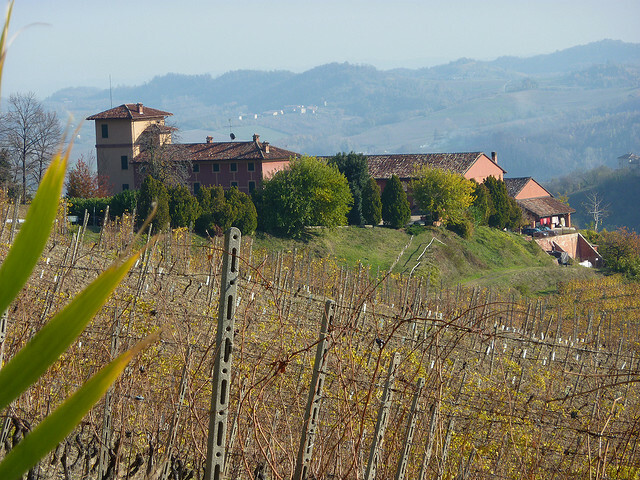 With a slightly earlier ripening period and a fresher flavor, Barbera wines were produced to bridge the time until Nebbiolo wines were ready. Barbera grows well in a variety of soils, especially challenging ones such as clay loam or sandy, where the effort the vine uses in growing limits production and yield naturally. When kept in check and harvested at the right time, the best Barbera wines are ruby red with bright cherry flavors and a softer finish touched with acid. Barbera wines are often the informing grape in blends, with even those labeled as a single varietal containing up to 15% of other red grapes to provide softer fruit and a balance to the acidity of the Barbera grape. When not advertised as a Barbera, the grape is often a component of table red wines both in Italy and California. 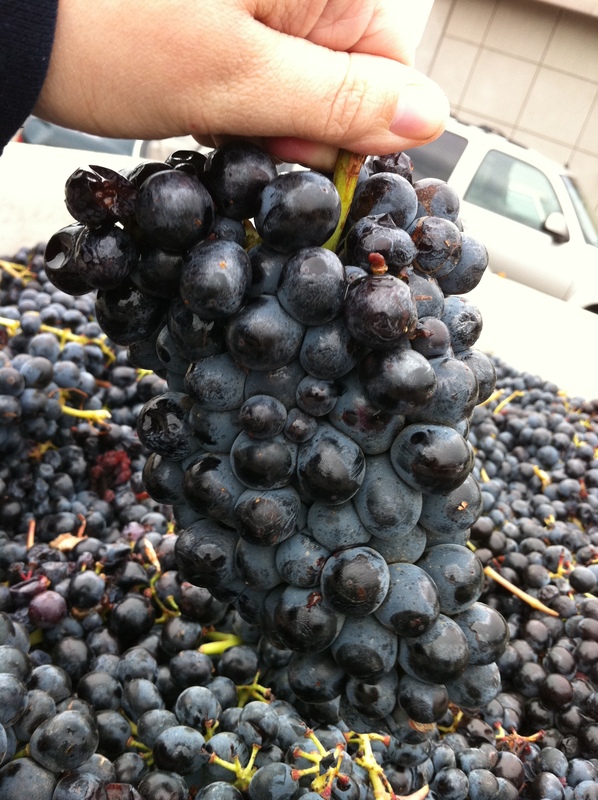 The addition of the Barbera can add color and acid to sometimes flabbier grapes that it is blended with. Commonly a medium to full bodied wine, with most commonly fainter aromas of fruit and oak if it has been used. Fruity, with a focus on black-fruits such as plums, cherries or blackberries you should not expect too much tannin but should taste the acid in a Barbera wine. The acids typical in a Barbera wine make it a great partner for tomato based dishes such as pizza and pasta. This wine will most likely not hold up to a heavy stew or grilled meats, but a medium dish with match a medium wine. A little spice can match nicely with the bite of the acid in the wine. Common Food Pairings: Medium to lighter flavored tomato dishes such as pasta and pizza are the perfect complement.